The Dodgers swung a trade with the Phillies yesterday and acquired right-hander Roberto Hernandez due to concerns over the health of Josh Beckett, but GM Ned Colletti told reports, including Bill Shaikin of the L.A. Times, that he hopes to make at least one more move. “There’s another pitcher out there we’re trying to get,” Colletti said. Colletti said that the Dodgers would like to add a swingman to replace Paul Maholm, who is out for the season with a torn ACL, and added that the club is also looking at back-of-the-rotation arms and late-inning relievers. Referring to the Hernandez trade, Colletti candidly admitted that the trade talks accelerated quickly, as he hoped to swing a deal before news of Beckett’s injury broke. “Ruben [Amaro Jr.] could hold me up for even more,” he stated. A number of back-end arms that I mentioned in last month’s look at the trade market for starting pitchers could likely be had for very little return from the Dodgers, including Kyle Kendrick, Kevin Correia and Colby Lewis. Bartolo Colon could represent a potentially more expensive but still effective option, assuming he clears waivers (which is highly likely). MLBTR’s Jeff Todd examined the trade market for right-handed relievers and left-handed relievers, and while some of them have since been dealt (as have some from the list of starters), many of those names could come into play as well. Ned, it’s Roberto Hernandez we’re talking about here. You could lose Kershaw, Greinke, and Ryu on the same day and Hernandez would still cost the same amount, next to nothing. You may be pleasantly surprised with Roberto Hernandez. I was never a big R. Hernandez fan but he has been pitching terrific the past month or so. Well I’m a Phillies fan and have seen him pitch all year (yes I’ve subjected myself to this torture all season) and he has been solid especially of late. My point was mainly sarcasm in that Ned made it sound like Ruben (or any other GM) could hold him hostage if word got out about Beckett. Can someone explain to me how a team with Kerhsaw, Grienke, Ryu, and Haren need pitching help? They don’t have some guy in AAA that can make some starts if Beckett is seriously injured? I mean, 4/5 of the Yankees starting 5 is on the disabled list and they are getting by with Shane Greene, Brandon McCarthy, and Chris Capuano. Not saying that they shouldn’t be upgrading their rotation but I am just not getting LA’s desperation for pitching when it seems they have plenty. The team relies on pitching and right now there is literally no one they trust to bring up from the minors that will be able to eat innings. Fausto is a big deal for this team. The Dodgers don’t play in Yankee Stadium and aren’t able to get a HR to right whenever they want. I take it you have’t watched much NYY baseball this year then, because neither can the Yankees. Based on Park Factors, Dodger Stadium is 5th in HR this year (Yankee Stadium 2nd), but 5th out of 30 tells me, at least this year, it’s been pretty HR friendly. Wow!? I don’t believe it. Because the Dodgers felt like Hernandez was a better option? Just because you have a great rotation doesn’t mean you don’t have to improve it when there is a problem. It’s not like they have a 10-game lead on the West. If they feel their current options present them with an uphill battle once every five days over the final seven weeks, upgrading makes plenty of sense. The difference between winning the division and taking a Wild Card spot could easily come down to a one-game difference, and an upgrade at the fifth spot in their rotation could well factor into a tight race. Haren the Horrible has been (you guessed it!) horrible. Beckett is hurt. Malholm is hurt. We have some starters in the farm (Zach Lee) but they aren’t ready. That leaves the Dodgers with only one option: Trading. Jansen and Howell have been great. Everyone else has been mediocre to bad. Since we don’t have anyone in the farm, that leaves us with one option: Trading. Honestly, watching this team day-in and day-out, it doesn’t feel like we own the division yet. A big trade can’t happen soon enough. They have options at RP in the minors. Yimi Garcia has looked lights out in the PCL away from ALB, Dominguez is wild but touches 100 MPH and has 10.5 K/9 in the hitter friendly PCL. Baez who just got the call up touches 98 MPH, in only his 2nd year as a pitcher. Paco has more BB/9 and higher ERA than all of those three. Daniel Coulombe is a lefty at AA with 14.7 K/9 and 3.3 BB/9. Paco had 14.5 K/9 and 4.0 BB/9, Kenley had 16.1 K/9 and 5.5 BB/9 in AA. Both skipped AAA and they all had less innings than Coulombe. I can’t understand Ned’s aversion to bringing up young talent. There’s no one in Albuquerque right now who, even when you adjust for Albu being a bandbox and Dodger Stadium being a cavern, projects to be better than Hernandez should be in Dodger Stadium. Therefore, since you can get him for basically nothing, you take Hernandez. It’s as simple as that. The first three are just expensive veterans that will clear waivers and are impending free agents, making them pretty easily attainable options. Just speculating on cheap (in terms of acquisition cost) names — there are plenty of other superior, albeit likely more costly options on the market. I didn’t think Nolasco was a great pickup and he proved us wrong. For the love of god, can one of the LA teams take Danks? Danks to whoever for a bullpen. Dodgers have money to burn and prospects to burn. I imagine they have to push in all of their chips and get whoever they need at this point. With all of the money they’ve spent, they really need to win a World Series otherwise it’s all for nothing. I’m not saying their window is closing. They should be good for awhile. But starting with when they made that huge trade with Boston, every year they don’t win at this point is one less year that they have in the future. 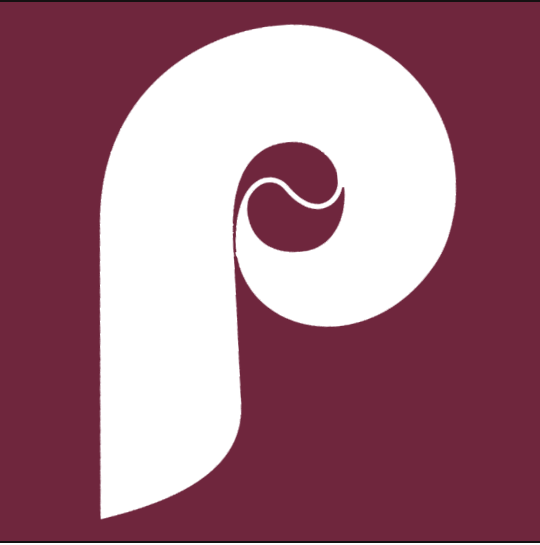 As a Phillies fan, they can have anyone they want off our roster. I like the Hernandez trade from our side since he wasn’t going to be re-signed. Hoping Kendrick gets shipped out to LA for a couple more prospects. I’m not looking for top tier. Low level guys is fine with me. We need to rebuild and it has to start somewhere. Want Paps too? He’s all yours. I hope Ruben is all ears. Yeah but at 7/31 Beckett wasn’t injured. Correct. Beckett was on the DL in July for the hip injury, got an injection, came back, and was ineffective. The team has known about this injury for awhile. definitely a low risk move. it’s not like it’s set in stone this guy will necessarily be in the rotation down the entire stretch. i think we’d need more information about how banged up haren and/or beckett are. Maybe the situation is they just need to skip a start or two with one of them to give them additional rest before putting him in the rotation. Maholm would have been the guy but he hurt himself too. And there is not Stephen Fife like guy anymore that could handle it so they had to dumpster dive. And it’s still ok if he needs to stay there because of the strength of the rotation. As soon as beckett/haren can get healthy he becomes a good long reliever in case of a huge farty start by one of the starters. How about trading for a backstop as well ned, it’s the only position on the team that isn’t producing on offense or defense. I think they should trade Corey Seager to the Mets for Bartolo Colon and Kevin Plawecki. Bartolo gives you innings for their playoff push, and Kevin Plawecki is great catcher in triple a that the mets don’t have room for another catcher as they have the highly touted Travis D’rnuad. The dodgers don’t have room for Corey Seager because I’m almost positive they will give Hanley and extension this offseason. From what I know, the dodgers need a solution behind the plate. Dodgers will make room for Seager. He is 2 years away from being in the big leagues. By then Uribe will be gone, and Seager will play SS and move Hanley to 3B (if they bring Hanley back). I for one am not a fan of Hanley. If he wants superstar money then he can sign with the Yankees. We can always use Guerrero at SS. Yeah the Yankees always steal everybody else’s allstar. I meant the trade as a win now going for it trade, not that it would be good later on. Regardless of Seager, I think Bartolo would help down the stretch of beating the giatns and is probably the best option at the waiver dealdine. I can’t wait for Hanley to be gone. He only hurts them on defense and gets hurt nonstop. I know a lot of those injuries aren’t his fault but he is a real injury magnet. Sorry Kevin, but if the Dodgers were going to deal Seager, they would have done it for guys like Price, Lester, and Hamels. Not Bartolo Colon. As for Plawecki, the Mets may want to hold onto him given d’Arnaud hasn’t shown he can hit big league pitching. Travis went down to the minors and lately has been hitting like he was expected to, and I meant for the trade to be like a win now trade sort of like how the A’s trade for Samarjiza. Regardless of Seager, I do think the dodgers should target Colon, in my opinion he’s what they need to help push ahead of the giants to win the NL West. The Dodgers are telling the LA times that Hanley has refused to go on the DL multiple times this year. I’m sure he or his agent have also put up a fight about switching to 3rd. I hope the Dodgers are smart enough to let him walk once an AL team offers him 4 or 5 years. The dodgers could give him as much money as he wants their payroll is overpowered but letting him walk wouldn’t be the wirst because with Corey Seager putting up monster numbers I think he will be their shortstop for years to come, I’m sure the Yankees will give him 200 million dollars to replacec Jeter. Carlos Villanueva is perfect for the Dodgers…….or the Braves….or the Giants……or for the A’s…….or the Angels…….